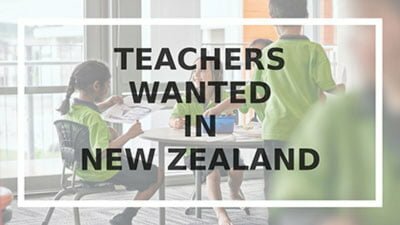 9 months after our post on Teacher’s shortage in New Zealand, the Government announces a new target that more than doubles the recently-approved teachers relocation grants to move to New Zealand. A $5,000 relocation grant proved a great incentive for overseas teachers, particularly from South Africa, Canada, and the UK. Will you come and teach in New Zealand? There are currently over 1,500 teachers jobs advertised in the Education Gazette, with almost one third in Auckland alone. The shortage is more pronounced in primary and secondary schools and subjects such as science, technology, or maths, with Teacher shortage said to hit over half of primary schools. The New Zealand Government aims to attract at least 400 additional teachers nationwide. If you are interested, we recommend approaching the New Zealand Education Council to enquire about Teachers’ registration. Find out what visas you may be eligible for by visiting our new Work in New Zealand section. If you are serious about making the move to teach in New Zealand but unsure about the process, take our eligibility assessment.